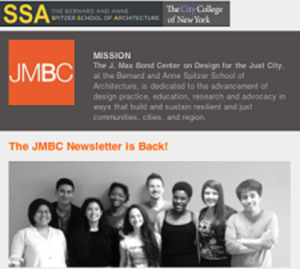 The JMBC newsletter is back! Pardon our absence over the last 18 months, but we’ve been quite busy launching our Legacy City Design website, publishing The Just City Essays, Volume 1, mentoring students of color interested architecture, and much more. We have had an exciting three semesters worth of projects since our last newsletter. We raised over $230,000 for projects and renovated of the Bond Center office. We awarded two J. Max Bond Scholars, Muhammad Saleh (2014-15) and Damon Arrington (2015-16), hired over 10 student interns and involved nearly 60 student volunteers in our project efforts. 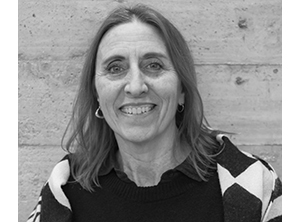 We established new partnerships with Gehl Architects, the well-known Copenhagen design firm, the New York Municipal Art Society, the Nature of Cities and the online urban publication, Next City. And we just published two reports from our signature research initiatives, Mapping Legacy Cities and Inclusion in Architecture, a study documenting the state of African Americans and Hispanics in architectural practice and the academy. We have also had a great time getting out and talking about our work as well as promoting dynamic conversations about design and the just city. We’ve been invited to speak at over 25 conference and university lecture series, hosted the 2013 Structures for Inclusion Pubic Interest Design Workshop, launched the JMBC Talks series, a informal lecture series curated by Spitzer School of Architecture students and faculty, and have been a supporter of the NYCOBA/AIA Diversity Committee annual J. Max Bond Lecture during Archobter events in New York City. There’s so much to catch up on! We hope enjoy our new online edition of JMBC News and we look forward to continuing to expand the platforms that keep you engaged and informed by our efforts.